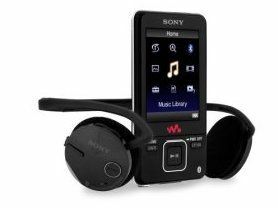 If you’re thinking of buying a Wirefree Walkman, then you could be treated to five free video downloads from 7digital.com, with vouchers chucked right in the box with its 4GB, 8GB and 16GB models. Not only that, but “we’re now not illegal” Napster has also got involved in the Sony party, offering a 14 day trial to its “Napster to Go” service, as well as five free permanent downloads. The NWZ-A826K and NWZ-A828K Wireless Walkman players have had the cards for said devices placed lovingly in each box, and can be bought from Argos all around UK and Ireland. The new additions are designed to get people interested in downloading legal content, allowing them to see just how easy it is, and Napster and 7digital are among the front runners in this service. Only problem is still DRM, which gets us all running back to the shady underworld of illegal downloads. Sony, please try harder.